Where do I go when I get to the hospital? How do I share a compliment or concern? Where can I find information about my child's stay? What programs and services are available? How do I refer a patient? What types of volunteer opportunities are available? What learning opportunities are available? How do I register for a workshop? Planning for your trip home is an important part of your hospital stay that should start during admission. Prior to going home, your health care team will speak with you and your family about your discharge plan, which includes transportation home. A little preparation and help from your care team can ensure a smooth and safe transition from hospital to home for both patient and caregiver. Patient discharge is 10 a.m. each day. If possible, arrange for one friend or family member to be your point person on discharge day. There may be several loved ones looking out for you, but having one person in charge of helping you to handle your discharge information will streamline the process and make your discharge run smoothly. Before leaving the hospital, you will have a conversation with your discharge team and receive written instructions to help with your recovery at home. These instructions will include information about diet, activity, medications, follow up appointments, services and supports you may need. It’s important that you take time to review your discharge plan and ask questions if there is anything you are unsure of before you leave. It’s helpful to repeat what you have been told, and make sure that anyone who is helping with your transition home understands too. Know who to contact in case you have questions after you arrive home. Be sure to take all personal belongings with you. After you leave the hospital, you may have a follow up appointment with a physician or another health care provider. Be sure to note any appointments so that you do not miss them. Have a plan for transportation to and from your appointments. Follow up is an important part of your recovery. Making sure that you have safe transportation home from the hospital is an important part of your discharge plan. Whether you’ve had a long or short-term stay in hospital, or a visit to the emergency department, you are responsible for arranging and paying for your own transportation home. Usually, a loved one will pick up a patient from the hospital and take them home. If you don’t have someone who can pick you up, you will need to make other arrangements, such as a cab or DARTS. You will need to contact the transportation company directly to arrange to pick you up. It’s a good idea to ask for a quote before you book your trip. 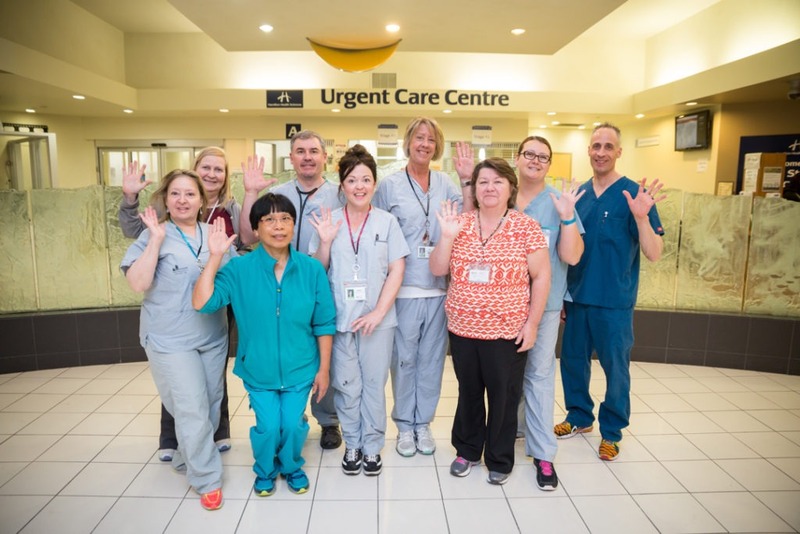 If you are discharged from Hamilton Health Sciences and are going to another hospital, your healthcare team will look after your transportation arrangements. There is no charge to patients for transfers between hospitals. Your health care team can help you decide which options are best suited to your needs. For information about transportation options, review our brochure. Hamilton Health Sciences will invoice you for all uninsured hospital services you receive. Find out how you can pay your hospital bill. MyChart, our digital health record, is a free, secure online tool that empowers patients to have more control over their care. MyChart puts personal health records, test results and communication between patients and health care providers at the patient’s fingertips in real-time. If you need to fill a prescription or if you have questions about your medication(s) before you leave the hospital, our pharmacy team can help. Learn about our pharmacy services and locations. Hamilton Health Sciences recognizes the value of patient and family feedback, as it provides us with the opportunity to improve the care that we are providing. Share your compliments, inquiries or concerns about the services we provide by learning more about the patient experience.